The Tropical Berry Protein Smoothie. – WellPsyche. Beyond. We’ve learned that carbohydrates increase serotonin in the brain and that too many carbohydrates flood the brain with this feel good hormone, but leave us crashing soon after. 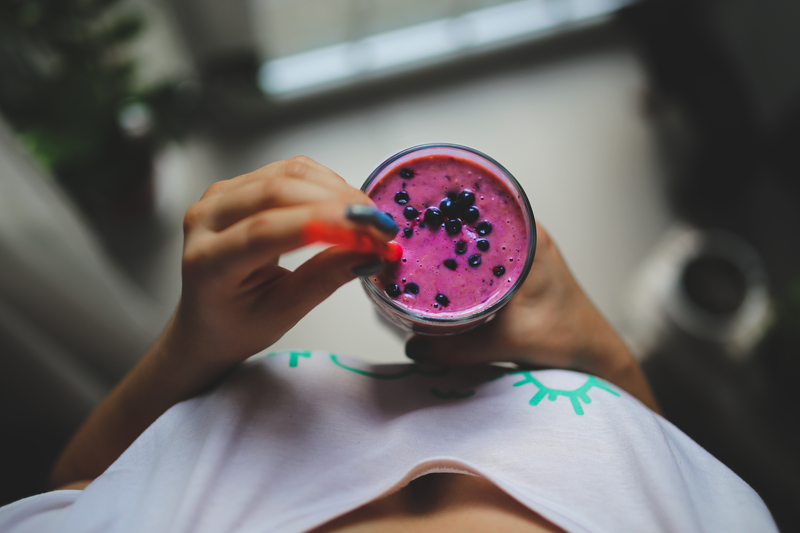 To combat this and to help regulate blood sugar levels, try a high protein smoothie like this delicious Tropical Berry Protein Smoothie. You’re brain and body will thank you. Helpful protein hint: Smoothies subbing as a meal should contain about 30 g of protein, while those you drink as a snack should contain about 10 g.
Mix all ingredients into a blender and blend until smooth and creamy. Drink with a straw and add more coconut milk if it seems too thick for your taste. Enjoy! Holly Bechard, Ed.D., RN, is a psychiatric nurse practitioner and blogger for Wellpsyche.com, San Diego, CA. Previous Considering Yoga for ADHD. Next Choosing a yoga approach that fits your style.